At XYPN, we have been mapping out the path for RIA firms through each phase of their business journey. No two independent financial advisors share the same story, of course, but the firm ownership journey itself is globally characterized by four distinct phases. Once you enter the growth phase, you will be faced with a number of decisions that ultimately come back to one question: what type of firm do you want to run? This is one of the great aspects of entrepreneurship—you ultimately get to determine the type of business you want to build. Do you want to scale, or continue to run your business as is? Do you want to hire more advisors and build an enterprise firm? Do you want to slowly grow and run the show but also continue to be the lead advisor with certain clients? Or do you want to focus on building a lifestyle practice where growth isn’t a major part of your plan? So many choices, and they're all yours! These are the types of strategic decisions you will ultimately have to make for your business once you have grown to capacity. But you have to get there first, and fair warning, there will be growing pains. We know that growth generally happens after year one of firm ownership. According to XYPN’s 2017 Benchmarking Study, the largest jump in revenue growth— from $27,473 to $70,962—for XYPN members is between years one and two of membership. So, what exactly did firm owners do during this time to accelerate their firm's growth? Below I have outlined some of the advantages and considerations of choosing to grow, and some of the specific actions you can take to jump-start your firm's growth. First let’s review the launch phase and think about how you set the foundation for growth. During the launch phase of an RIA, we focus on developing four key areas: marketing, sales, financial planning development/implementation, and business essentials. Marketing should play a large role in your initial launch plan. This includes identifying who your ideal client(s) may be, building your firm brand, establishing foundational pieces like your website and social channels, and creating and distributing your first pieces of content. Once your marketing efforts begin to attract prospective clients, your sales process comes into play. Typically, your sales process includes some sort of screening where you determine if a prospect is a good fit for your services. This might involve an initial meeting where you provide an overview of your services, explore how you can help the prospective client with their financial needs and where you can add value to their life, and, of course, discuss if your fees align with their budget. When a prospect agrees to sign on, it's time to take them through your planning process, which generally includes a discovery meeting, plan development, and meeting with the client to discuss recommendations and an implementation plan. Also during the launch phase, you are getting the basics for your business set up. These business essentials include completing the registration process with the state or SEC of your firm; understanding your ongoing compliance and regulatory requirements; putting your core technology in place to service your clients and run your business; and establishing a process for tracking your firm financials. Once you have prospects and clients to put through your planning process, the work isn’t done. You should constantly review, revise, and improve your marketing, sales, and planning processes. Curious where you should be spending the most time? The launch phase is all about developing a base level of processes, but most of your time should be spent on marketing and sales. This comes as a surprise to many advisors. When you launch a new firm, the first year is often the most exciting and the most challenging. This is why we see the highest attrition rates for new advisors and firm owners in their first year. Most firms that fail during this time due to a lack of clients, which can often be attributed to underdeveloped marketing and sales processes. You can have the best planning process but if you don’t have clients to put through that process, your firm will fail. That’s why the biggest piece of advice I give new firm owners is to put the majority of their focus during the launch phase into marketing. Once you have put your first clients through your entire process, it's time to review and refine. It’s through this review and refine process that we start to see firms grow. Let’s focus on the same four key areas of your business—marketing, sales, planning process/implementation, and business essentials—and how you can successfully review and refine each of these four areas to jump-start your firm's growth. When you launched your firm, you most likely had some idea of who your ideal client would be. What may not have been clear is the best way to reach that client and what type of messaging most strongly resonates with them. XYPN recently developed a Marketing Content Strategy Workshop that focuses on revisiting your “Why”. Why did you initially get into the financial planning and what change are you trying to create? Who is the change for? How are you going to connect with this ideal client? And what will your action plan be? By going through this review, you can narrow down who your ideal client is and what is important to them. Ultimately it's about connecting your why with your clients’ why; if are able to do this, your marketing efforts will resonate. By narrowing in on your "who", you can also start to identify where your clients are and the best way to get your content in front of them. XYPN’s 2017 Benchmarking Study showed that nearly 40% of all new clients came from digital platforms such as online/Google searches, social media, blogs, and Find an Advisor portals. When you are determining your content strategy, take time to review your current lead sources/activities. Determine which lead sources are generating the most leads, qualified leads (prospects that are a fit for your services), clients, and revenue. Can You Outsource Business Development To Generate More Financial Advisor Leads? Once you have homed in on your ideal client and have created a content strategy to reach them, it's time to review and revise your sales process. The first step I would take is to review your current process. Where have leads stalled or dropped out of your pipeline? What are some of the common objections you are getting from prospects? If you haven’t already documented each stage of your sales process, I would strongly recommend doing this in your CRM. Tracking the steps will not only help you identify areas for improvement but provide you important information for your business. You can see how long it takes a lead to become a client, understand how many leads it takes to ultimately sign a client, and know how many people are in your pipeline, which allows you to project future client numbers and revenue. Once you have reviewed your sales process, it's time to refine. Look back at how you refined your marketing and use what you learned to help determine what value you can provide your prospective clients and how to most effectively engage with them to show them that value. We have found that the turning point for many fee-only financial planning firms is when they connect with a client’s why and confidently communicate the ongoing value they provide through their financial planning services. Determining the value of the planning and advice you offer and pricing your services is one piece (more on this later), but you must also be able to connect with a client and confidentially present your value in a way that convinces a prospect you’re the right fit for them. For more info on this topic, listen to XYPN Radio Episode #41: Convert Financial Planning Leads to Clients with Nancy Bleeke. You may also want to check out this blog post from Money Coach Garrett Philbin: How to Convert Prospects into Leads: A 5 Step Process for Financial Advisors. Just as well-developed marketing and sales processes will attract more prospects by helping you narrow in on who your ideal client is and how to most effectively engage with them, refining your planning process will help you convert more prospects to clients by providing a clear picture of what services you provide and how those services will be delivered. The first part of the review process is to look at your meeting structure. How many meetings do you have with your clients throughout discovery, delivery, and implementation? Does every meeting provide value and are you getting client buy-in on your recommendations? Next I would look at the services provided. We have seen that as firms reduce the number of services they provide, their revenue increases. You shouldn’t try to be everything to everyone. Instead, you should focus on your ideal client and providing them exactly the planning and advice they need. If you find that clients are engaged early on in the process but then drop off, perhaps you need to look at your ongoing client communication calendar and meeting frequency. After you have put a few clients through your initial planning process, you will have a good idea of the areas that are adding value and the areas that need improvement. As you revise your planning process, be sure the changes you make are scalable. One of the ways firms start to do this is by implementing a service calendar that focuses on specific areas of planning at different times throughout the year. This accomplishes two things: 1) It provides your clients with clear objectives and manageable goals to accomplish each quarter and 2) It provides you with a scalable process to implement. As you continue to refine your ideal client, you can create a service calendar that is meaningful to them. This also becomes a great sales tool for you as it allows you to clearly show your clients the value you will provide throughout the year. 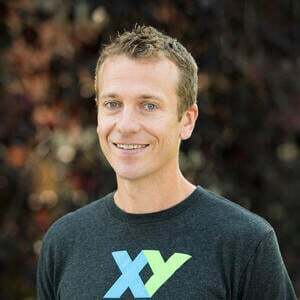 For more information about scaling, listen to this podcast with JD Bruce: XYPN Radio Episode #82: Scaling Your RIA - An Interview with JD Bruce. At this point, we have explored a number of different factors that contribute to the growth of a financial planning firm after year one: getting clear on who your ideal client is and how to reach them, confidently communicating the value of relationship-based sales, and refining your service offering. The area on which I want to focus last is perhaps the most obvious: your fees. Based on the XYPN’s 2017 Benchmarking Study, 100% of members increase their fees in their first three years. I already emphasized the importance of reviewing and refining your marketing, sales, and planning services—it's equally important to review your fee structure and revise as needed. There are two different aspects of your fees I would review. First, how are you structuring your fees? What is your upfront fee? What is your ongoing fee? Do you charge separately for AUM, or do you combine it into one fee? Or do you use the AUM fee to offset your planning fees? Second, how are you determining your fees? Are your fees based on a client’s income and net worth? Or are they based on complexity, or value provided, or time spent? The first piece of advice I will offer is to align your fee structure with the planning services you provide and your service calendar. My next piece of advice is to develop a consistent methodology for determining a client's fee. We have found that establishing a consistent methodology simplifies your client’s understanding of how they’re being charged and gives you the confidence to price your planning services appropriately. Read more on choosing a fee structure: Choosing a Financial Planning Fee Structure – What Are the Options? Finally, as your firm grows, one of the most effective and often enlightening ways for you to review and revise your existing business practices is to get client feedback. Many firms have implemented a client survey as part of their annual business check. This allows you to see how your clients view your processes and services. Hearing directly from your clients about why they do business with you and how they view your firm will provide invaluable insight you can leverage to make impactful improvements to your business model. Getting through your first 12 months of firm ownership will undoubtedly be challenging, but don’t let the struggles prevent you from taking time to review, reflect, and revise because while your first year may be the most difficult, it will also be the most critical for setting the stage for future growth. Identifying growth opportunities and ways to increase profitability early on is essential to creating a long-lasting firm. 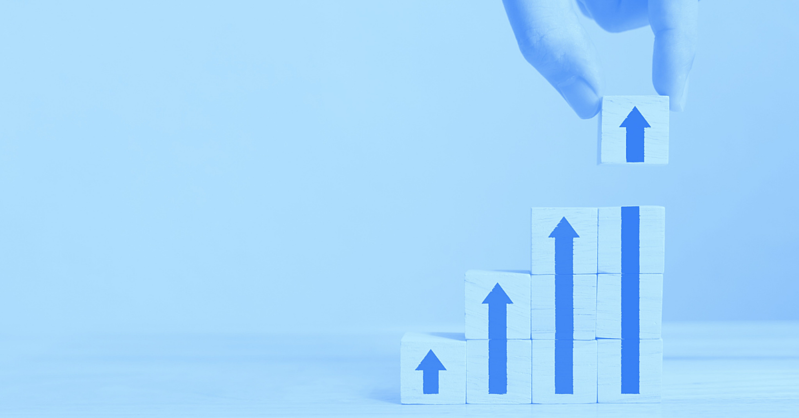 By focusing on your marketing, sales, and planning processes and regularly reviewing and revising these practices, you can accelerate your firm's growth and begin to build the business you always envisioned.